• PLOT SUMMARY: Winner of three 2013 Eisner Awards! Two war correspondents stumble onto the biggest story in the universe. 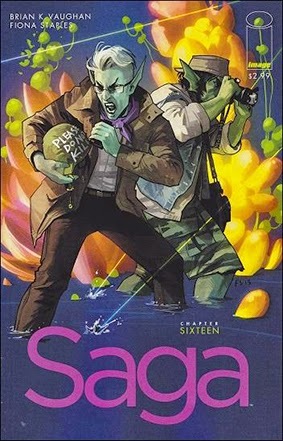 (W) Brian K. Vaughan. (C/A) by Fiona Staples.